Forty-five years ago, artist George Maciunas transplanted two trees from a Canal Street parking lot to 80 Wooster Street. 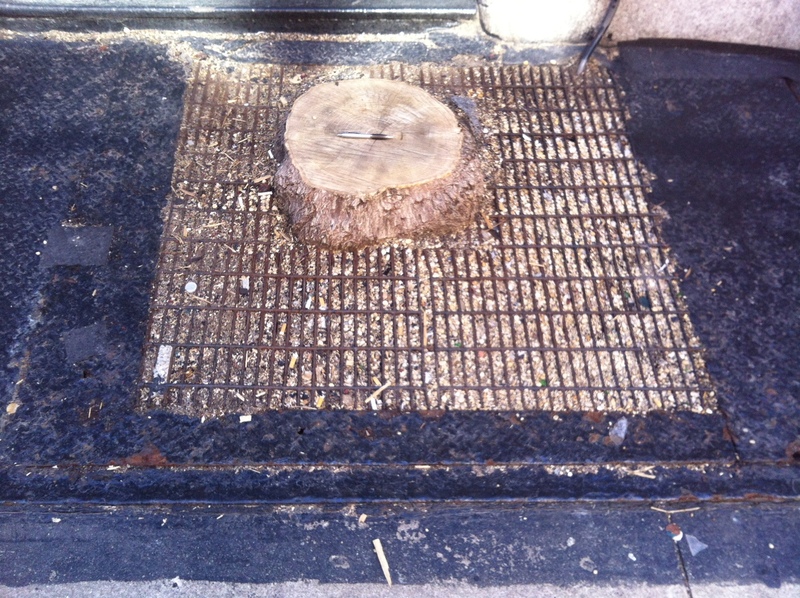 The Parks Department deemed the trees dangerous but they were not removed until residents requested a removal after being told that the trees, especially the northern one (above) would compromise the installation of a standpipe system. 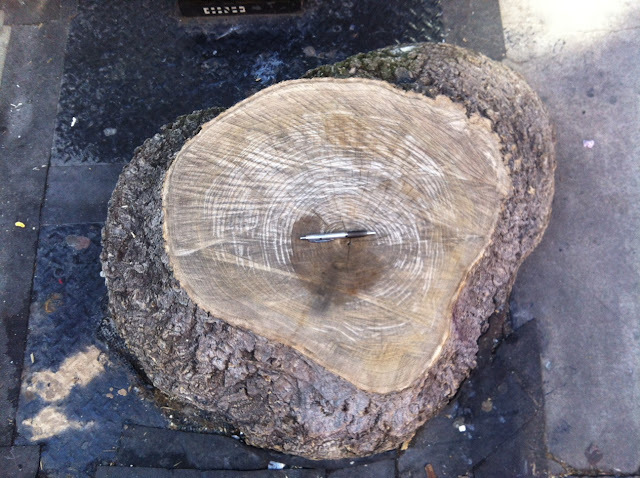 Read the entire stump story at The SoHo Memory Project blog.